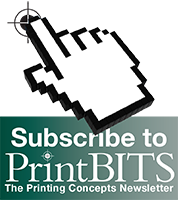 PrintBITS: Farm to Table - Printing Concepts, Inc. The Farm to Table Dinner Event is currently America’s hottest food movement, spawning festivals, not for profit organizations, and political and social groups to garnish their own brand of dinner event around the country. Currently, there are Farm to Table festivals in Denver, Pittsburgh, Cleveland, Portland, and many other urban areas. The very first of many Farm to Table events in Erie was hosted in an expansive field adjacent to the oldest and most magnificent of farm houses in the region, the Erie County Historical Society’s Historic Farmhouse in Girard. In addition to live music and dancing, this year’s Farm to Table Dinner was created entirely using fresh foods from local growers, and prepared by Erie native and renowned culinary chef, Marc Berarducci. Using our ESKO digital die-cutter, we craftfully cut the Girard Farmhouse out creating a unique and elegent invitation for the special event. Create a unique and memorable dinner invitation that emphasized the location and experiences at the first Farm to Table Dinner in the Erie Region. Focusing on the Historic Farmhouse in Girard, we used the themes of regional locations and openness to express the ideas behind the Farm to Table Dinner. To print the invitation, we used our HP Indigo 5600 Digital Press to produce vibrant sharp colors on the smooth uncoated cover stock. The colors gathered the attention of the recipients; however the distinctive and intricate die-cut made the invitation unforgettable. Using our ESKO digital die-cutter, we die-cut around the trees and farm house with pristine accuracy to ensure the invitation looked and felt completely unique. The result was a bi-fold precision die-cut invitation that held its own in comparison to the event it featured. We hope you like the invitation as much as we did producing it.